Identifying people, places and products since 1850. Matthews International Corporation entered the history books in 1850 when an English immigrant named John Dixon Matthews began producing steel stamps, branding irons and other marking devices from a small shop in Pittsburgh, Pennsylvania. During the Industrial Revolution, Matthews was the leading supplier of identification products and services to the booming steel, glass, and railroad industries in Southwestern Pennsylvania. By the early part of the 20th century, the company enjoyed a national reputation for its identification capabilities. Through the years, Matthews pioneered products and technologies that have revolutionized the way the world identifies people, places, products and events. One of the company’s most significant advancements occurred in 1927 with the production of the first flush bronze memorial. This product radically changed the memorialization industry and helped advance the memorial park concept throughout the United States. In the early 1960s, extensive growth of Matthews’ memorial product lines led to the opening of the company’s plants in Milton, Ontario; Searcy, Arkansas; and Sun City, California. In 1969, the Seneca Falls, New York facility was purchased and the Arrow Engraving and Foundry acquisition enabled the company to enter the Australian market in 1989. By monitoring the memorialization industry closely, Matthews is at the pulse of emerging trends. With consumer preferences shifting toward above-ground entombment, the 1998 acquisition of Gibraltar Mausoleum Contruction Company positioned Matthews as a full-service provider for this growing segment of the market. The 1999 acquisition of Parma, Italy-based Caggiati enabled the company to expand its mausoleum product lines and statuary collection. 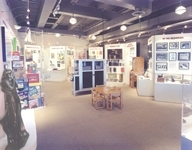 In 2001, Matthews acquired one of its largest competitors, York Bronze Company in Kingwood, West Virginia, to further penetrate new markets and diversify its memorial product lines.